For this show, we are going to make a lot of ham radio operators mad. I expect to get a lot of flak for this show. In this show, we are going to be discussing amateur radio and why it is and is not important to get your license. Here is the cold truth. You do not need a ham radio license to use a radio and having a license does not mean you know how to use a radio. You bought that awesome BaoFeng, got it programmed, and now what? Did you know that you can use FRS and MURS channels without a license? 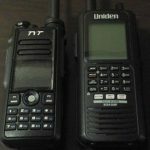 Did you know that you need a license to use GMRS? Listen to this broadcast or download “Amateur Night at the Dipole” in this player! But you have a license and a radio. Good for you. Do you know how to use the radio effectively? Are you familiar all of its features? What if you accidentally press a button and turn on a flashlight or siren feature of your radio. Do you know how to turn that off quickly? If there is another person you are trying to hear, do you know how to turn on the monitor or adjust the squelch in order to hear the other party? Did you know that the golden rules of radio communications are Clarity, Simplicity, Brevity, and Security. Do you know the difference between HF, VHF, and UHF? We will be discussing Line of Sight, Skywave, and Groundwave propagation as well as the characteristics of HF, VHF, UHF, and when to use each one. There are important differences between them. Do you know how to connect an external antenna to your radio to extend the distance you can talk? What about safety? Did you know that you could be burned or killed by using a radio? Lastly, we will be discussing what to do if something happens to your antennas or coax. So, you have an external antenna and coax setup for your Listening Post/Operation Post. What do you do if that cable or antenna gets damaged? Do you know how to repair it or build a new one? Previous: Previous post: Range Bags, gear, and gun mags! Next: Next post: Off Grid Living!